The only thing more idiotic than grown men getting arrested for spray painting a statue is when they do it leading up to a contest their team loses 52-6. 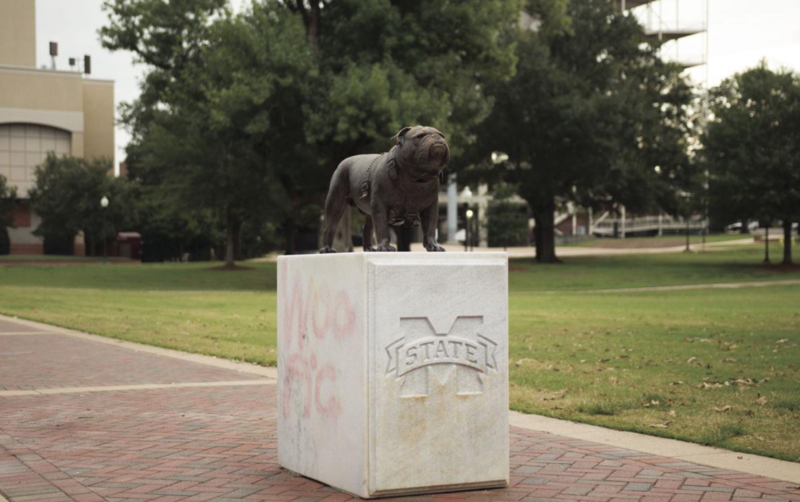 As lame as that may sound, that’s what has happened following the aftermath of the vandalization of Mississippi State’s Bully statue. 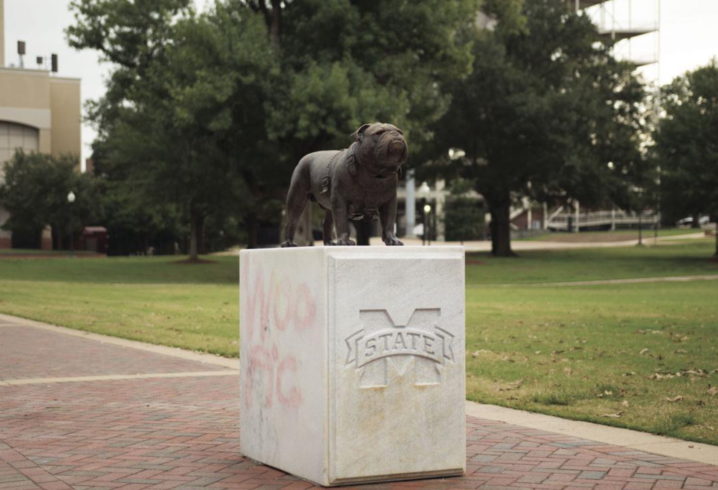 You may recall someone vandalized the MSU statue leading up to Arkansas’ loss to Colorado State. Talk about bad timing. 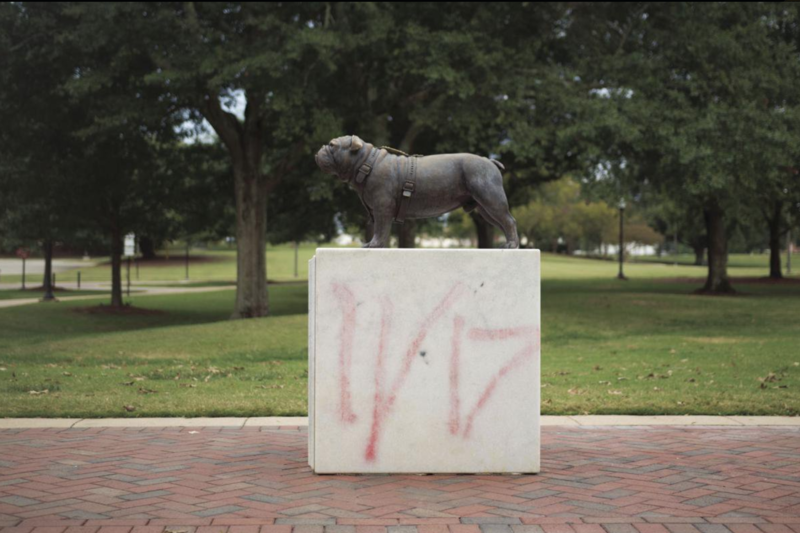 The spray paint on Bully read: “Woo Pig” and “11/17” as seen in the photos below. 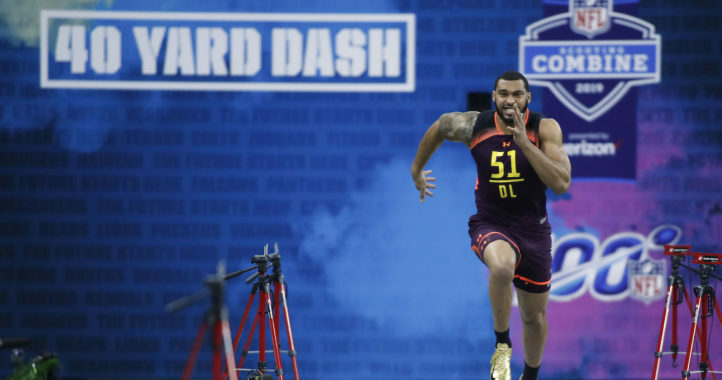 Well, now we know who has been arrested for the crime as 25-year-old Timothy Yeldell, of Fayetteville and 24-year-old Mathes Tillinghast, of Houston, have both been booked for the crime according to Starkville Daily News. The only thing more embarrassing was the result of the matchup between Mississippi State and Arkansas on Nov. 17. The maximum punishment for this crime is five years in prison and a $10,000 fine. 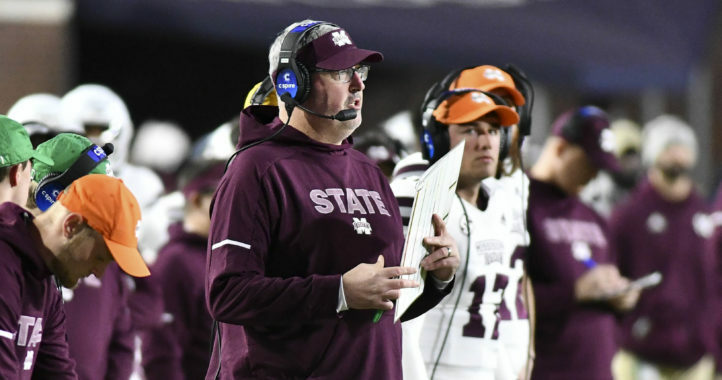 The Mississippi State star is clearing the air. They are Razorback fans. I think they have been punished enough. Wow this incident really enraged the author of this article, I could sense how mad he was just by reading it. I think your spidey senses are off. I just sensed the disappointed amusement most adults feel when other supposed adults pull such lame-brained stunts. I hope they get fined enough to make it a true learning moment. Poor execution. Should have written “Hoddy Toddy” and not blabbed about it to stay anonymous. Lastly, never take your cell phone when you commit a crime-it’s a literal tracking device that records location. In before I get bell ringers huffing and puffing I don’t support or advocate committing vandalism or any other crime, including this particular instance.